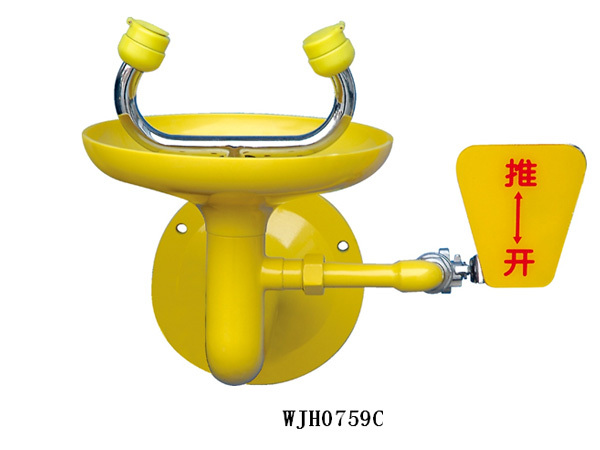 Galvanized Steel + ABS coating Wall Mount Eyewasher. 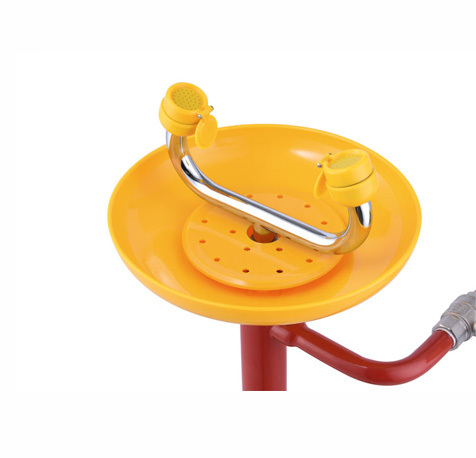 Product Description: It is used for emergency rescue to flush the injured eye and face, reduce the injury and avoid secondary injury. 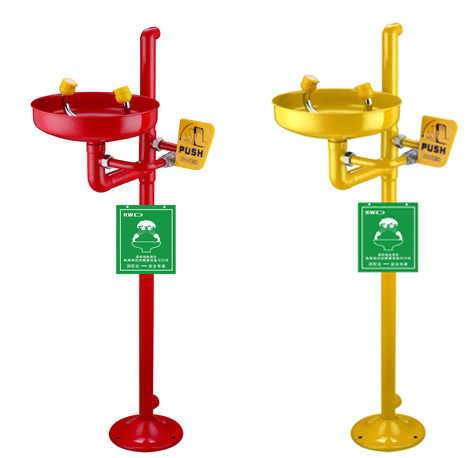 Galvanized steel wall-mounted eye washer, super corrosion resistant. Applications: Nuclear power, petroleum, chemicals, machinery manufacturing, automotive shipbuilding, casting, painting, printing and dyeing, pharmaceuticals, medical and other industries. Graduated from: Shanghai Jiao Tong University – School of Mechanical and Power Engineering, Master of Engineering. Proficient in mechanical drawing, won many intermediate certificates in the field of machinery. Proficient in, and adept at solving various troubleshooting problems in customer applications, can repair equipment failure in a short time. Graduated from: Missouri University of Science and Technology, Senior Engineer. Expertise analyzes and reviews the parts in the design process. The design, improvement, and improvement of parts and components make it possible to optimize the structure and process of the parts. This is the result of the product’s appearance, quality, cost, and practical optimization. 2.Enhanced dust cover design in clear translucent yellow allowing for easy inspection. When the cover is opened, water flow starts automatically – giving the user instant relief. 3.New ergonomic hand activation paddle is easy to reach from any direction. 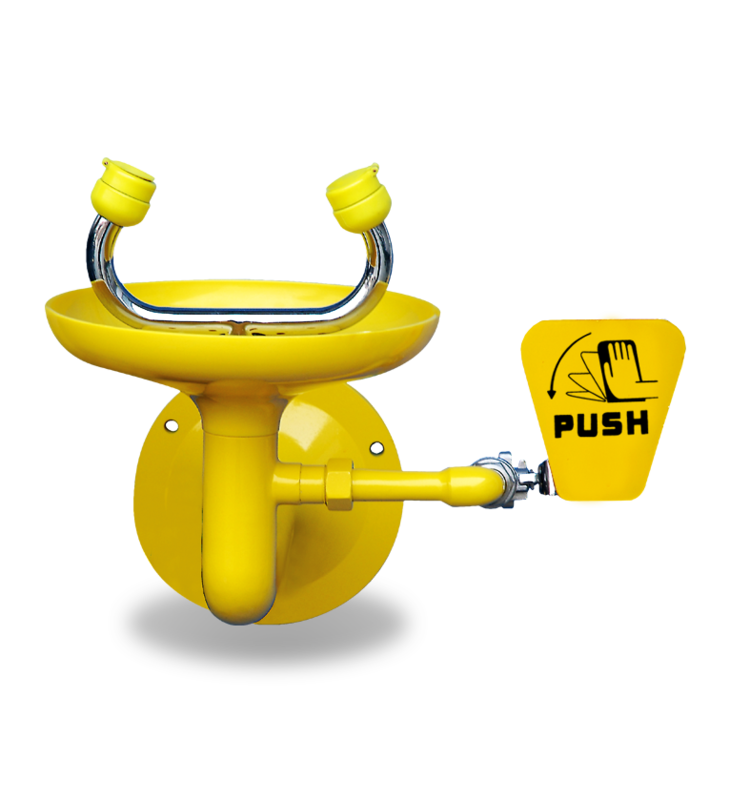 4.The Aquaduct design is the only self-draining design for standard eyewash models – another industry first and Bradley exclusive. The self-draining Aquaduct helps reduce the risk of bacteria growth when the unit is not in use. 5.​Integral strainer inside the Aquaduct reduces debris in the water for additional eye protection and also prevents clogging. 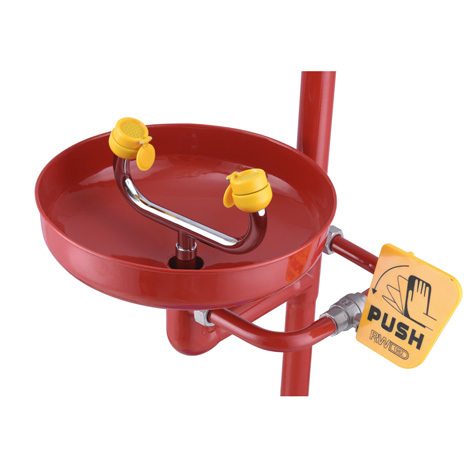 6.New dust cover caps on the eyewash are hinged for a more secure hold – keeping dust and debris off the water spout. The thickness of the coating is 250-300μm . The product meets the requirements of the US ANSI Z358-1-2004 standard. Product performance Super chemical resistance to acids, alkalis, salts, oils, etc. 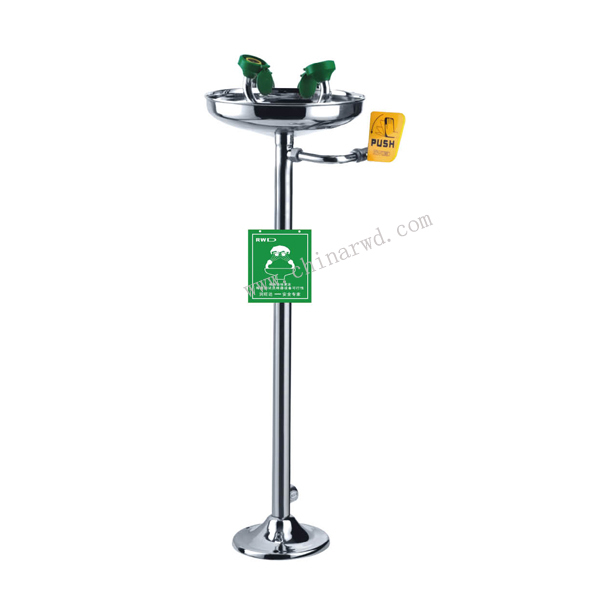 Security warning posts; production brand; antifreeze; induction; filtering, etc. The use of galvanized steel material and ABS powder impregnation, ABS powder adhesion strength is very strong, the thickness of 250-300 microns, effectively solve the cost of the general environment of the enterprise to save the problem. 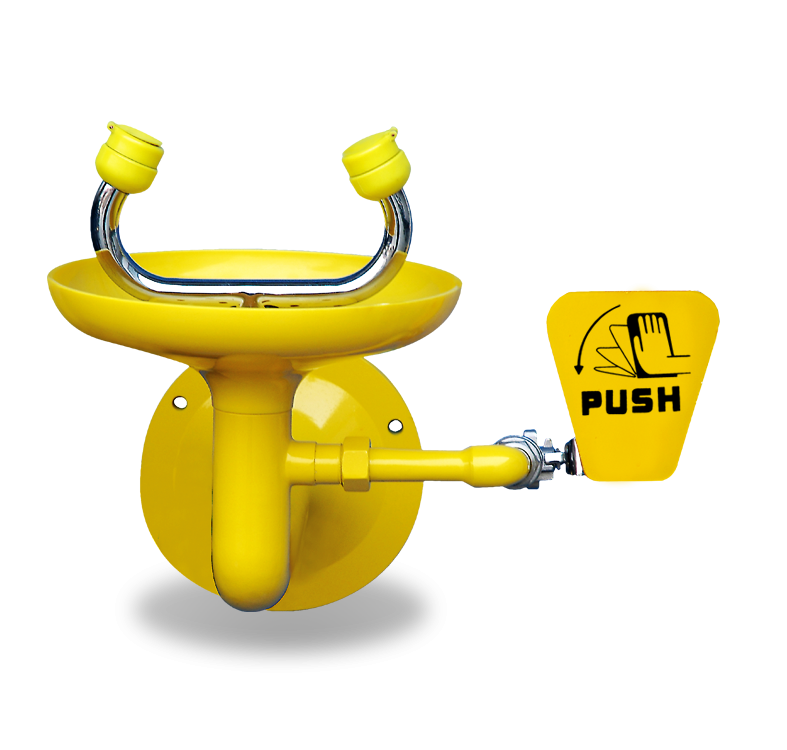 U.S. technology has been introduced to improve and upgrade traditional eyewash devices. The installation is simple and convenient. It requires no manual operations and can save 80% of labor costs.